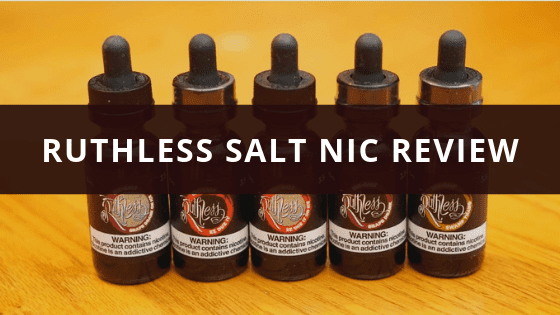 In this e-juice review, we'll be covering the new Salt Nic line from Ruthless e-juice! This is their new nicotine salts e-liquid collection and it currently consists of 5 different flavors and each flavor is currently available in 35mg salt nicotine strength. In addition, the only bottle size available is 30ml, and each flavor does come in a glass dropper bottle. Since these e-juices from Ruthless are of higher nicotine strengths, they're not recommended for sub ohm use. These specific e-liquids are great for vaping with pod systems and mouth to lung vape tanks. Before getting further into this Ruthless e-juice review, we'd like to thank EJuice Plug for sending these flavors our way for the purposes of this review. We will provide you with our overall thoughts about these Ruthless flavors and let you know whether or not we recommend them! Remember, taste is subjective, so what we may like you may dislike and what you like we may dislike. We will first go over the specific mods and atomizers used to test each of these flavors and then continue on to the review of Ruthless Salt Nic E-Juice! Swamp Thang was inspired by our favorite sour apple candy: Green apple jolly rancher. Our specially formulated nicotine salts are made specifically for low wattage pod systems. Swamp Thang is easily an all day vape for those looking for something sweet but not too overpowering. Swamp Thang by Ruthless Salt Nic is a pretty straightforward flavor, and I think for e-liquids like this which are meant for pod systems and mouth to lung atomizers, this is definitely a good thing. On the inhale, you get a green apple flavor with a slight candy note to it. It's more of a fresh green apple but mixed with candy notes that's somewhat noticeable. On the exhale, is where you'll taste the full flavored green apple candy, and towards the end of the exhale is where you'll get a bit of a sour note. It's not a bad sour note by any means, and actually tastes like what they were going for. This e-liquid is very well blended, and you taste pretty much the full blown flavor profile which is a zesty sour green apple hard candy. 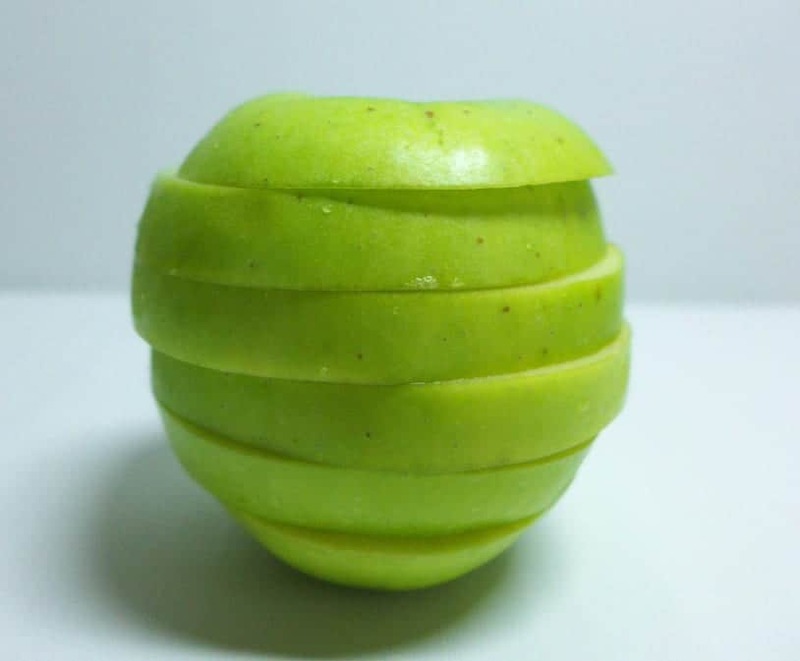 The apple is very refreshing, and it just tastes great in my opinion. The throat hit is very smooth at 35mg and vapes fantastic in the pod systems used to test these e-liquids. Overall, I'm a big fan of Swamp Thang, and although I love menthol flavored e-liquids when it comes to mouth to lung vaping, this is a flavor I can certainly vape all day without getting tired of it. It's very well blended, and I'm sure any vaper who enjoys apple and candy flavors will absolutely enjoy this one as much as I did. As mentioned in the previous flavor review, I'm a big fan of menthol or any flavors with menthol when vaping on pod systems or mouth to lung atomizers. With that being said, I was quite excited to try this flavor. On the inhale, you get mostly strawberry with a hint of watermelon. On the exhale, you get a strawberry watermelon mixture and as you exhale you'll get a nice menthol finish. The menthol in this Ruthless flavor is not overpowering whatsoever, and is pretty subtle. I was actually surprised by the menthol as I did expect it to be pretty strong, but was happy to find out it's not overpowering. That's a fear with a lot of e-liquids with menthol, it just sometimes takes over the flavor completely. I'm happy to report that's not the case with EZ Duz It On Ice. The strawberry and watermelon is blended well, and you can easily taste both of these flavors as you exhale. The menthol simply compliments the entire vape experience in my opinion. Just like the other flavor, the throat hit is silky smooth. All in all, this is an excellent fruit and menthol blend that tastes great! It tastes basically like the flavor description, which is always a pro in my book! If you're a fan of fruit flavors and don't mind a hint of menthol, then I definitely recommend this flavor by Ruthless Salt Nic E-Juice. Ez Duz It is a mouthwatering explosion of fruity flavors that consists of ripe strawberries and juicy watermelons. The pure simplicity of the flavor will make an easy all day vape for any vape enthusiasts. Our culinary trained mixologists have carefully blended strawberry and watermelon flavors to make a well-balanced and easy going e-liquid. There isn't too much to go over with this Ruthless flavor as it's pretty much the same as the other, expect this one does not have any menthol or cooling effects to it. On the inhale, you get a ripe strawberry flavor with a faint hint of watermelon. On the exhale, you get a mixture of strawberry and watermelon. Both of the fruit notes are authentic tasting, which is definitely a good thing for this e-juice. This is a pretty straightforward flavor as well as thy're only two major fruit notes which are strawberry and watermelon. However, they're blended very well and you can easily taste both fruit flavors without having to look for them. The throat hit is incredibly smooth and very satisfying. Overall, this is another great flavor in the Ruthless Salt Nic line. Although I do prefer the "Ice" version, this is still a good vape. If you're not a fan of menthol flavors, and looking for a good fruit flavor, then definitely give Ez Duz It a shot. Grape Drank and Grape Drank on Ice are two flavors that are pretty popular already, so I was glad to see Ruthless released a Salt Nic version. I personally haven't tried this flavor before, and I'm not the biggest fan of grape flavors as a lot of them can taste a bit like medicine. Well, I will say that most certainly is not the case with Grape Drank on Ice. On the inhale, you get a grape candy flavor. On the exhale is where this flavor really shines in my opinion and is probably one of the more unique flavors I've tried in some time. As you exhale, you taste both the grape candy and soda flavor notes. It's hard to really explain what exactly it tastes like, but it tastes like if you mixed the two. Even up to the carbonation, I do kind of notice that as well as if I drank soda. The mixture is very tasty, and the menthol finish just makes it that much better in my opinion. Just like the other menthol flavor in this line, the menthol is pretty subtle, and compliments the flavor incredibly well. Grape Drank On Ice is my favorite flavor from this Ruthless line, and easily an all day vape for me. It is a bit sweeter than the others and not the most coil friendly, but it makes for a unique and tasty vape experience. The throat hit is smooth as butter, and this is a flavor that will pretty much always have a place in my pod systems. If you're a fan of grape and menthol flavors, this is a must try! Like the two EZ Duz It flavors, this is basically the same scenario. Grape Drank is the same flavor without any menthol, so the vape is nearly the same just without the menthol finish. On the inhale, you get a sweet grape candy flavor. On the exhale is where you'll get the amazing mixture of grape soda and candy. The throat hit is very smooth as all of the other Ruthless e-juice reviewed. Grape Drank is on the sweeter side, so if you're not a fan of sweet vapes, then you might not like this one. The grape flavor notes are well done with no medicine taste whatsoever. I will say that this is a close second for me in regards to favorites, and the subtle menthol finish of Grape Drank On Ice is what makes that flavor my favorite of the line. 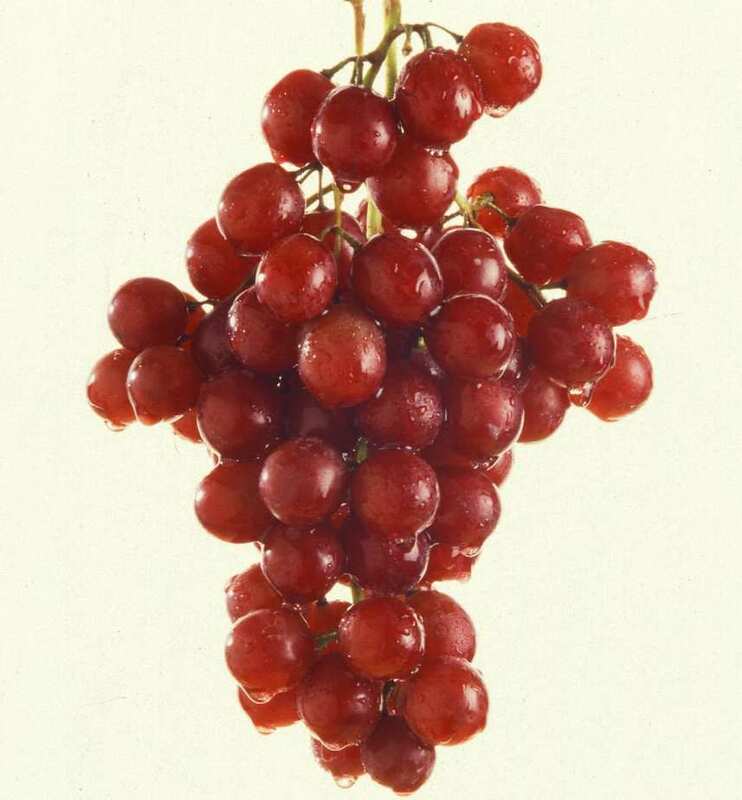 Grape Drank is an awesome Ruthless flavor that tastes really good and is an all day vape for me. Just like the previous taste, this is also not the easiest on your coils and is pretty sweet overall. However, if you enjoy sweet flavors and prefer no menthol, then I do recommend Grape Drank, it's really that good. In conclusion, the Ruthless Salt Nic E-Juice line offers 5 excellent flavors and each flavor offers a unique vape experience. The throat hit from all of these flavors are incredibly smooth at 35mg, so I must say that the nicotine they're using is of high quality for sure. The only thing I would've preferred is that these flavors were bottled in either unicorn bottles or the smaller Chubby Gorilla bottles. That would make it much easier to fill pods for the Kado Stealth or Suorin Drop that were used to test all of these flavors. It's not the biggest deal, but something worth mentioning. All in all, if you're looking for some new nic salt e-juice for your pod systems or mouth to lung vape setups, I can easily recommend the Ruthless Salt Nic line. They're all great flavors in my opinion and I thoroughly enjoyed each one. Like mentioned previously, my two favorites were definitely Grape Drank on Ice and Grape Drank. These two flavors are certainly staying in my rotation! We hope this Ruthless e-juice review helps you find your next all day vape! Feel free to leave any questions or comments below! Thanks for reading!